Me and best planned to watch Eat, Pray and Love last Saturday. Unfortunately, it rained so hard that we weren’t able to catch the screening time. 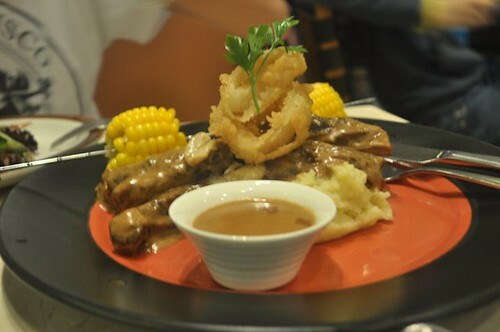 We just decided to go straight to Eastwood Mall for a MoMoLicious dinner. I wanted to try this restaurant when I learned it from Chyng’s blog and my best wanted to try it since her special friend is working there. When we arrived the restaurant, the staff greeted us and took us to our seats and gave us the menu. 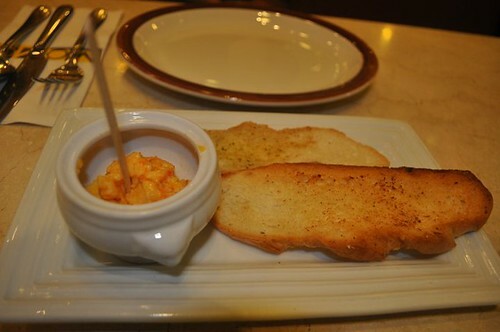 Afterwards, the server gave us a bread and cheese (I don’t know the name) for appetizer ata. I’m not a salad fan but I liked how The MoMo Gourmet salad tasted, may mapait na leaf that my best told me na kailangan altogether kainin ang salad to have a different taste. 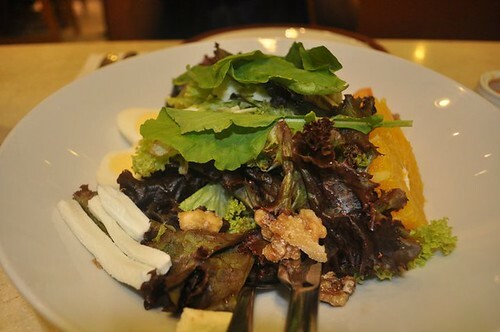 But overall, the salad was good, sarap din nung sauce. Afterwards, we ordered rice for our beef fingers. We are bit full na pla, dapat di na nagorder ng rice. Overall, the beef finger was good. Mejo nakakasawa lang ung sauce but it was OK. The place is cozy, interior was good but the service is not that good. 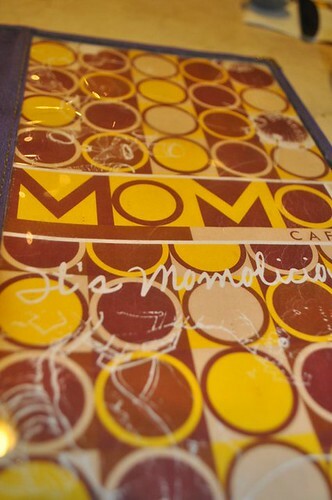 Yet it was a MoMoLicious Dinner. Next story First Stop, Banaue! Best natawa ko sa post mo na to. Binasa ko kasi ulit. Tinawag mong servant yung server. Haha. To my Best: Pics are c/o Vane's SLR! Thanks for sharing it to me. Hehehe! Wow SF, OMG.. OMG.. heheheehe SAMA ako!.. grabe! kaka-excite dba!.. hehehehe..